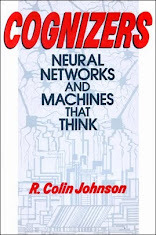 "ALGORITHMS: computer learns from humans"
Even the most sophisticated man-machine interface today requires that the user learn how to use the computer. Now researchers at the Ecole Polytechnique Federale de Lausanne claim their QB1 computer can bridge the gap between man and machine without the need for and manual--or even a keyboard or mouse. 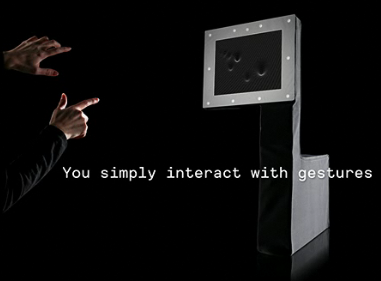 QB1 seeks out users in its immediate surroundings and presents applications to them that can be navigated with intuitive hand gestures. BOTTOM LINE: Learning how to use a computer can be a daunting task, but the Ecole Polytechnique Federale de Lausanne appears to be simplifying the procedure by building attentiveness into their software. So far the technique is at the toy-stage, but approaches like this could someday realize the dream of computers without manuals, although it may take five years or more to realize commercial applications using the technology. "NANOTECH: carbon transistors sprayed on ink-jet style"
Carbon nanotube thin-film transistors running at 5 Gigahertz were recently demonstrated at the University of Massachusetts in cooperation with Brewer Science, Inc. Using an ink-jet-like printer from Optomec called the "Aerosol Jet", the carbon transistors were printed at room temperature on a polyimide substrate, promising ultra-low costs compared to traditional high-temperature processes using silicon substrates. 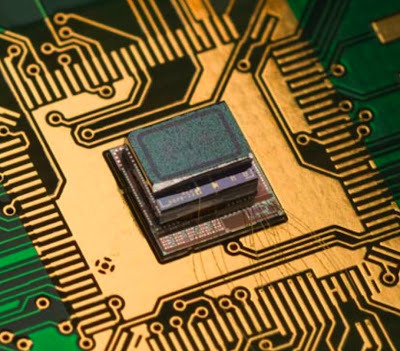 BOTTOM LINE: Spray on transistors are revolutionary, because they can be fabricated much more cheaply than silicon transistors that require high-temperature processing and expensive monocyrstalline silicon substrates. Unfortunately, most spray-on transistors are dismally slow. 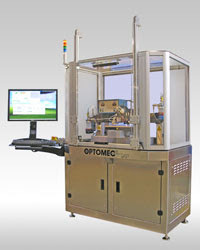 Optomec's Aerosol Jet printer, on the other hand, can use fast carbon-based materials to combine high speed with low cost. They can't compete with CMOS yet, but the future of printable electronics is bright. Look for wide scale applications in three to five years. 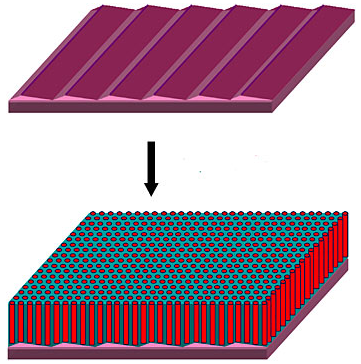 "CHIPS: 3D chips unfold instead of stack"
3D chips promise to pack more punch compared to today's flat planar chips, usually by stacking dies and connecting them with through silicon vias. Massachusetts Institute of Technology professor George Barbastathis, on the other hand, recommends unfolding chip structures into the third dimension and has demonstrated that capacitors are amenable to the technique. He predicts that tiny motors and other devices will soon be fabricated using his nanoscale "origami" approach. 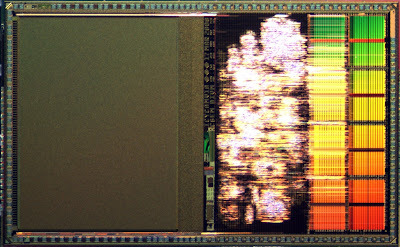 BOTTOM LINE: 3D chips solve many problems plaguing traditional planar semiconductors, such as packing logic above memory cells without the need for long costly interconnections. 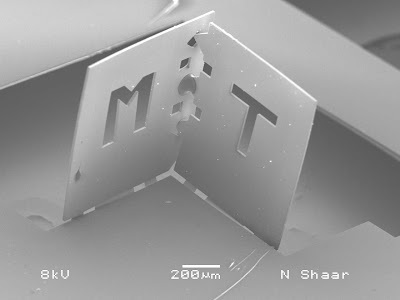 MEMS chips also harness the third dimension by sculpting out 3D structures with etching techniques. MIT's origami-like alternative is not really an alternative to 3D stacked dies, but the technique is so novel that I suggest keeping an eye on its development, which could take a decade or more to mature. "NANOTECH: EPA to regulate nanotube production"
The Environmental Protection Agency (EPA) will begin enforcing new rules next week regulating companies using carbon nanotubes. Manufacturers will be required to file pre-manufacturing notices which will be used to evaluate the health and safety measures necessary to protect workers and consumers from possible health hazards associated with nanotubes. 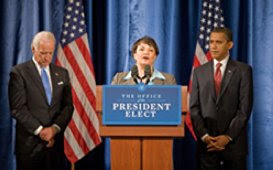 The Toxic Substances Control Act specifically cited the requirement for pre-manufacturing notices regarding carbon nanotubes in October 2008, but EPA won't starting enforcing the new rule until March 1, according to the Bureau of National Affairs, which publishes information and product analyses for industry and government. BOTTOM LINE: The fears of nanotechnology going awry have plagued the field from the get go, so its about time that the EPA stepped in regulate their manufacture. Hopefully the EPA can calm the public with reasonable regulations, but critics maintain that it will overly burden a fledgling industry with red tape. Hopefully the EPA's involvement will enable the field to blossom as well as protect both humans and our natural resources from run-away nanobots. 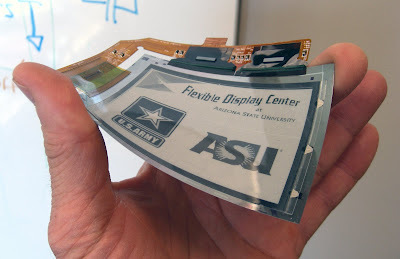 Arizona State University's Flexible Display Center (FDC) and its military and industry partners are claiming the first flexible touchscreen integrated with an active-matrix display. The light-weight device is initially headed for the battlefield. Based on active-matrix electrophoretic display technology from E-Ink Corp. (Cambridge, Mass.) the new flexible touchscreen uses materials supplied by DuPont Teijin Films, which manufacturers the plastic used as a substitute for glass in conventional touchscreens. Glass touchscreens can only be used when securely enclosed in a hard-shell housing. For future commercial applications like e-newspapers, however, a more durable flexible touchscreen is needed that would allow users to navigate using on-screen icons, then roll up the e-paper for carrying and storage. BOTTOM LINE: The newspaper of the future will be a rolled up sheet of DuPont plastic that readers can unroll to read, flipping "pages" by touching an on-screen button on the corner of the page. This dream is being realized at Arizona State University's Flexible Display Center, with the help of military funding to get it off the ground. Combining the fortes of DuPont and E-Ink, the FDC is creating the newspaper of the future, which will first be deployed to solders who will use the it as electronic notepads, and eventually to you and I within three to five years. "CHIPS: world's first reversible diode"
Rutgers University researchers have demonstrated what they claim is the world's first reversible diode. 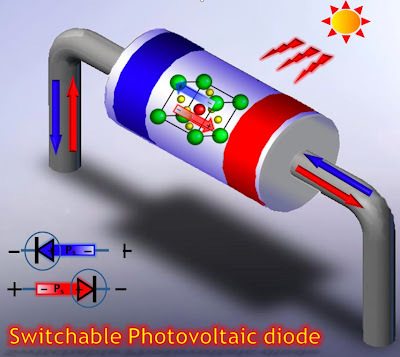 Using a ferroelectric material, the new material formulation was also found to be photovoltaic in a part of the spectrum not covered by conventional solar cells, opening the door to a potential new green energy source. The new material is a member of the perovskite class of crystals and is distinguished by using three negative ions of oxygen that bind to two positive ions of very different atomic sizes. Made from bismuth, iron and oxygen, the reversible diode can alter the direction in which it allows current to pass by switching its ferroelectric polarization. BOTTOM LINE: A availability of a reversible diode is sure to spur electrical engineers to find useful applications. The ferroelectric material will have to be integrated into someone's CMOS process to be used on conventional chips, which takes time. Discrete devices seem inevitable too. The utility of the material also being photovoltaic in the blue color gamut could help the efficiency of multi-junction solar cells, but this all depends on optimizing and fully characterizing the material, which could take years. "NANOTECH: 250 DVDs fit on one-inch disk"
A self-assembling process promises to fits 10 terabits per square inch by harnessing nano-scale self-assembly of block co-polymer templates. The breakthrough overcomes previous obstacles with a two step process that first patterns sawtooth ridges on a sapphire wafer which is annealed, before patterning the three nanometer diameter memory domains. BOTTOM LINE: Block copolymers are being investigated by many research labs as a method of patterning semiconductor chips at densities that go far beyond the capabilities of the photolithographic techniques used today. This type of maskless operation could be key to fabricating future memory chips, because the patterns self-assemble into regular patterns. However, this is only one piece of the puzzle--since it is unclear how to fabricate the circuitry to read, write and access such small memory domains--problems that could take a decade or more to solve. "CHIPS: world's smallest transistor fabricated"
Transistors with feature sizes of just two-nanometers--compared the the 45- and 32-nanometer transistors which are state-of-the-art today--have been fabricated with a new technique called Sketch-an-FET (after the popular Etch-a-Sketch game). 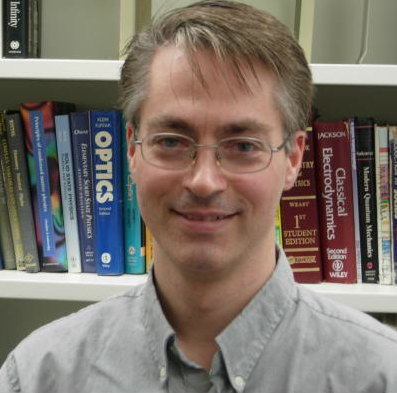 The researchers used the tip of an atomic force microscope like an Etch-a-Sketch stylus to fabricate the transistors at the University of Pittsburgh (by professor Jeremy Levy--pictured). BOTTOM LINE: Professor's Levy's demonstration is impressive and his technique is unique, in my experience. However, transferring this one-by-one technique into a usable tool at semiconductor makers will require a different approach. 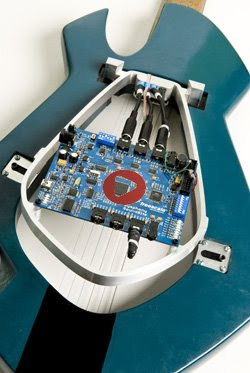 An atomic force microscope is a useful tool, but cannot be used in a production environment. If this technique can be commercialized, it will be at least a decade before its kinks are worked out. "ALGORITHMS: Gizmox remains unhackable despite 1700 attempts"
Last November Gizmox, developer of the Visual WebGui application development environment, offered a $10,000 prize to any hacker who could break into the Visual WebGui website. Despite over 1700 attempts, no one was able to break in, leaving the prize unclaimed and the company's security software suite untarnished. 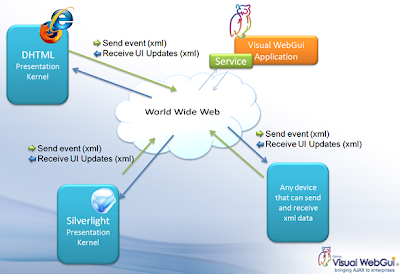 BOTTOM LINE: Gizmox's Visual WebGUI offers a simpler development and deployment for web-based applications that depend on a database. Developers worried that such a tool might invite hackers to steal information from this database should feel less anxiety out the security of applications they develop. "ENERGY: nanowires generate energy from muscle movement"
The demonstration required a hamster to wear a jacket with a built-in nano-generator, but the running critter showed that almost any movement can be harnessed to generate electricity to power electronic devices. Researchers at Georgia Tech, which conducted the demonstration, predict nanoscale piezoelectric energy generators could power mobile phones and other handhelds using the energy harvested from the environment. In the near term, researcher Zhong Lin Wang said he wants to power medical nanodevices with muscle movements such as flexing fingers and vibrating vocal cords. BOTTOM LINE: Piezoelectric nanowires generate energy when they are bent, making them a natural for harvesting power for mobile phones and other portable electronics. Unfortunately, the small size of the nanowire (nanometers thick and only microns long) means the amount of power generated by each one is miniscule--less than a nanoamp--which means you need millions in parallel to power real devices. In principle, they can be woven together into sheets or even garments, harvesting everyday movements to recharge your mobile devices, but it may take a decade of hard engineering work to realize this dream. "QUANTUM: buffers realize Einstein's 'spooky action'"
Quantum computers use superposition--the ability to encode both a 1 and a 0 on the same qbit--to solve complicated problems that are intractable for normal serial computers, such as creating uncrackable encryption codes. To realize quantum computers, however, engineers need to create all the same types of processing units as normal computers, such as data buffers. Now the Joint Quantum Institute (JQI) of the Commerce Department's National Institute of Standards and Technology (NIST) and the University of Maryland have demonstrated such a "quantum buffer." 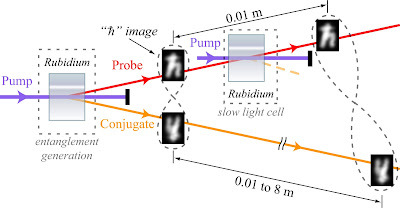 Using Albert Einstein's "spooky action at a distance"--entanglement--the researchers used a gas cell to slow down light beams 500 times slower than the speed of light, thereby demonstrating how complex entangled data sets could be delayed up to 27 nanoseconds. Such data buffers are necessary in all computers, in order to synchronize arithmetic and logic operations. BOTTOM LINE: Quantum data processing could someday enable incredible supercomputer power to be packed into ultra-tiny devices. Researchers have already demonstrated quantum versions of many necessary computers components, and NIST's demonstration of a quantum buffer takes us one step closer to the dream. However, despite the emergence of many quantum capabilities--such as single-photon communication systems on which it is impossible to eavesdrop--we are still a decade or more away from full-fledged quantum computers. "ALGORITHMS: Brazil to deploy world's largest computer virtualization"
The world's largest ever desktop Linux deployment will create 356,800 seats--10 per PC--for Brazilian government using ThinNetworks virtualization software at a cost of less than $50 per seat. BOTTOM LINE: Virtualization enables multiple users to share the same computer hardware, here for schools and other government institutions in Brazil. 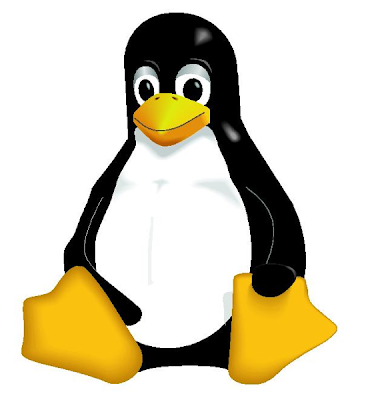 By using open-source LInux and virtualization software, many more computer users will gain access than could be accomplished by buying licenses from Microsoft for Windows or computer systems from Apple. We applaud Brazil for putting its citizens best interests ahead of the commercial lobbies of computer and software makers. "CHIPS: RFID tags to get FRAM memories"
Ramtron International Corporation (Nasdaq: RMTR) has signed foundry deal with IBM to produce RFID tags housing its FRAMs. IBM will install the FRAM semiconductor process technology in its Burlington, Vermont, advanced wafer manufacturing facility. Ramtron said its first production wafers from the IBM facility will be produced in 2010, using the company's 0.18-micron chip process. IBM will be Ramtron’s third foundry supplier for FRAMs, after Fujitsu Limited and Texas Instruments. 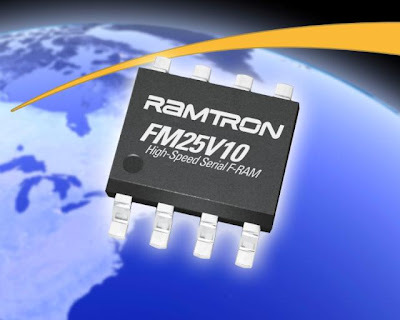 BOTTOM LINE: Although Ramtron's press release does not mention RFID tags, the company told me that its deal to manufacture FRAMs at IBM's foundry was intimately tied to the a new effort to use FRAMs with RFID tags. Adding FRAM--a nonvolatile memory that can be easily reprogrammed--will enhance the capabilities of existing RFID tags, and possible enable the creation of many new innovative used of RFID tags. "WIRELESS: Live TV soon to be available for the iPhone"
PacketVideo announced at the Mobile World Congress that it is delivering a mobile video application for the Apple iPhone to the major networks that enables them to deliver operator-branded TV and video services for the first time. In the coming months, major networks will be announcing the availability of their channels on the iPhone using PV technology. BOTTOM LINE: The iPhone is the most copied smartphone available today--every phone vendor is trying to duplicate the "wow" factor. However, the iPhone does not do everything--notably, it cannot receive live TV feeds today. 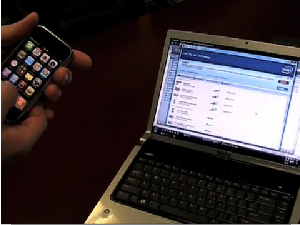 PacketVideo's software for broadcasters, however, should add one more trick to the iPhone's "wow" factor. Look for broadcasters to announce this new capability in the coming months. "ENERGY: Green energy power converter eases apps"
In order to harness green energy from solar cells multiple cells need to be in series to get their voltage high enough to power conventional electronics. Freescale Semiconductor has developed an integrated mixed signal chip that can convert the output from a single solar cell into a usable power source. Freescale's dc-to-dc power conversion technology, was announced today at the Applied Power Electronics Conference and Exposition (APEC, Feb. 16-19, Washington D.C.) Besides photovoltaic (PV) cells, thermoelectric-generators, electromagnetic-generators and even bioelectric energy can be harvested with Freescale's technology. "MEMS: Pico projector to obsolete handheld's LCD?" Today at the GSMA Mobile World Congress, Texas Instruments announced an ultra-small digital-light processor (DLP) chip set aimed at the pico-projector market. Samsung has already announced that it will be the world's first mobile phone maker to use the new chip set, which projects HVGA (480-by-320 pixel) images at 7.5 lumens on any surface. TI's DLP already powers dedicated handheld pico projectors from Dell, Optoma and Samsung. 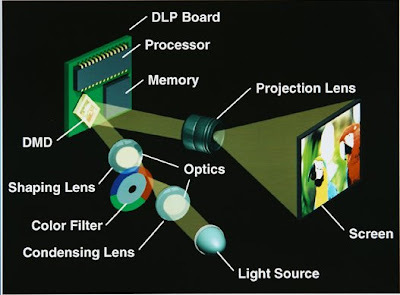 Other optics based pico projector modules are being developed by Microvision, 3M and National Semiconductor. Microvison's combines micro-electro-mechanical systems (MEMS) and lasers at resolutions up to 848-by-480 pixels at 10 lumens. Likewise, National Semiconductor's pico projector module will also use lasers. 3M's module, on the other hand, uses iquid crystal on silicon (LCOS) technology. 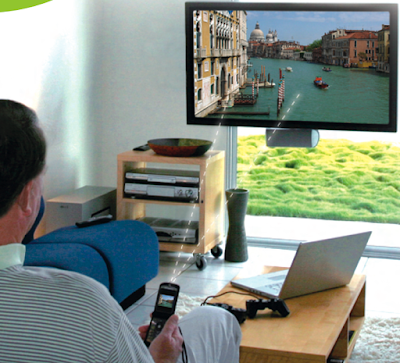 BOTTOM LINE: By the end of 2009, pico projectors from multiple sources will begin appearing in multi-function handheld consumer devices like mobile phones and iPod-like video players. In the beginning, the pico projectors will merely provide an additional display method besides the built-in LCD, but eventually some devices will ditch the LCD and depend entirely on the pico projector. These ultra-small wearable consumer devices are impossible today because of the requirement of having an LCD display that is large enough to easily see, but with the picro projectors ability to turn any surface into a display, wearable devices will begin to replace handhelds, such as smart phones built into watches or even rings. 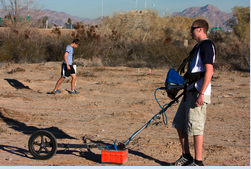 "ALGORITHMS: archaeologists harness ground penetrating radio"
BOTTOM LINE: Harnessing radar, radio and other noninvasive means of conducting archaeological exploration one of the most important advance in the field since the invention of carbon dating. Using such techniques will enable archaeology to advance at a pace that rivals the other sciences. "NANOTECH: "Two-armed nanorobot to facilitate computer assembly"
A two-armed robot built from DNA molecules has demonstrated 100 percent success as grasping target molecules that could someday be used to assembly nanoscale computers, optical fibers, or mechanically encrypt information. BOTTOM LINE: Nanorobots were predicted by their seminal inventor, Richard Smalley, to herald a new age of self-fabricating materials that configure themselves. However the goal has been illusive. 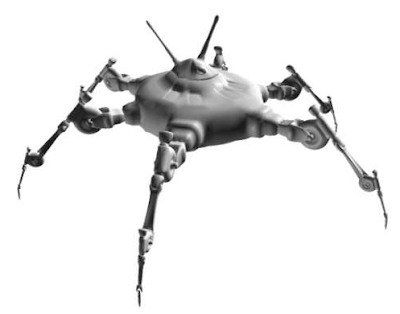 This two-armed nanorobot may be a stepping stone along the way to self-assembling nanofabrication techniques, but we are still decades away from Smalley's dream. "MEMS: Piezoelectric MEMS said to lower power consumption"
MEMS oscillators harness electrostatic forces rather than relying on the piezoelectric effect used in traditional quartz crystals. But silicon resonators are less stable than quartz, forcing MEMS makers to include temperature compensation using a power-hungry phase-locked loop (PLL). By adding a piezoelectric thin-film atop its silicon resonator, and using a switched capacitor method for performing temperature compensation (instead of a PLL), the Swiss Center for Electronics (CSEM) is claiming a 1,000-fold decrease in power consumption in a paper presented this week during the International Solid-State Circuits Conference. 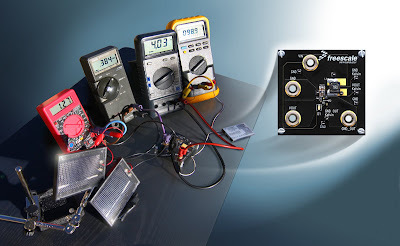 CSEM's piezoelectric silicon resonator consumes 3 microamps while achieving a native accuracy for its real-time clock of 5 parts per million/degree Celsius compared to 15 to 30 PPM/degreeC for typical MEMS resonators that consumes 3 or more milliamps. "ENERGY: Shock absorber harvests energy, boosts gas mileage"
By harvesting the energy wasted by ordinary shock absorbers, a prototype device aims to take over much of the work now performed by alternators. In hybrid vehicles, the GenShock also could boost mileage by 10 percent. 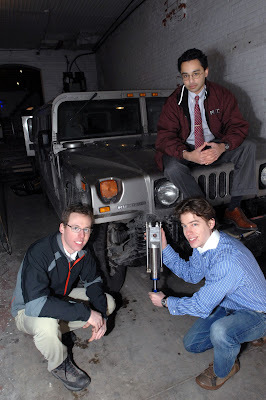 The GenShock design has been patented by Massachusetts Institute of Technology (MIT) students who formed a startup, Levant Power Corp., that is targeting heavy vehicles like Humvees and AM General's proposed Joint Light Tactical Vehicle. In a marriage of electrical and mechanical engineering, GenShock absorbers compress hydraulic fluid as they damp the vertical motion of the shock, generating up to 1 kilowatt per shock. An active suspension system then converts into electricity the combined hydraulic pressure from all the shocks using a centralized generator. "ALGORITHMS: MIT's guitar combines DSP with interchangeable sound"
Guitarists revel in the diverse acoustic resonances emanating from instruments made from different types of wood. As a result, most guitarists own a variety of guitars. Now, researchers at the Massachusetts Institute of Technology (MIT) have combined digital signal processing with a removable sound board, enabling the Chameleon guitar to change its sonic characteristics by changing the type of wood used for the sound board. The design also retains the same guitar body, neck and frets. "CHIPS: Smart sensor targets advanced machine vision"
A smart sensor that aims to lower the cost of automotive, industrial and consumer electronics machine vision systems integrates a DSP chip with a CMOS imager, according to the Swiss Center for Electronics (CSEM), which will unveil its system-on-chip during the International Solid-State Circuits Conference. The Icycam sensor, the result of nearly a decade of research at CSEM (Neuchatel, Switzerland), is said to build intelligence into firmware, enabling low-cost automotive vision and smart security systems, as well as for optical character recognition. "ALGORITHMS: Gesture control enabled by 3-D sensor"
Emerging consumer electronics applications have prompted smart 3-D sensor chip maker Canesta Inc. to adapt its 3-D CMOS image technology from automotive applications to a new consumer version of its 3-D image processing chip. The new chip is designed to inject new features into consumer products, ranging from gesture control for TVs to chroma-key image mixing that eliminates the need for a green background screen. "ENERGY: Thin-film solar said to outperform crystalline"
Thin-film solar cells can use inexpensive, low-temperature processing to stack amorphous silicon and germanium photovoltaic layers atop a reflective foil backing. By using multiple layers with semiconductor junctions tuned to different wavelengths of light, thin-film module makers claim that their solar cells are not only cheaper, but could outperform expensive crystalline solar cells in many climates. Advanced Green Technologies (AGT, Ft. Lauderdale, Fla.) claims its thin-film solar cell modules trade higher output on sunny days for better performance on cloudy days. AGT said its thin-film cells outperform glass encapsulated monocrystalline solar cells where sunny days are the exception. The reason, the company said, is that they continue to produce electricity when its cloudy. "ALGORITHMS: Intel's 'My Wi-Fi' seeks to mobilize personal-area nets"
Intel Corp. wants to connect millions of Wi-Fi-enabled devices by building a wireless access point called My Wi-Fi into Centrino 2-equipped notebook computers, establishing a personal-area network (PAN) that travels with users.